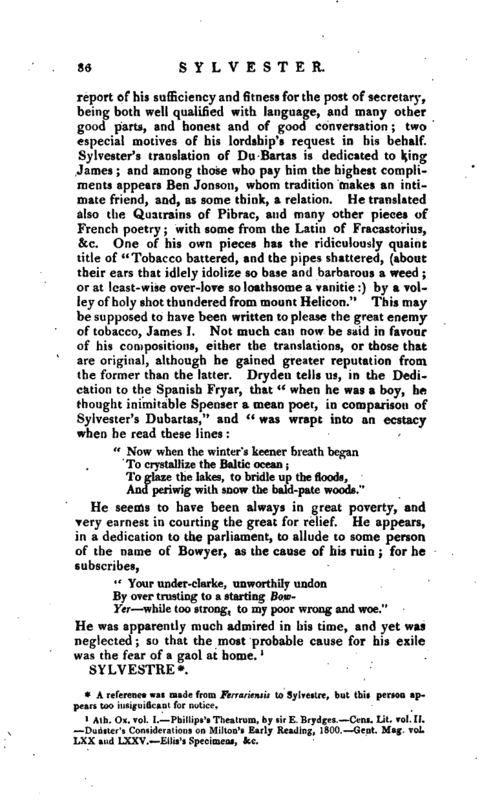 , the laborious and quaint translator of Du Bartas, was born in 1563, and died September 28, 1618. His death happened at Middleburg in Holland. 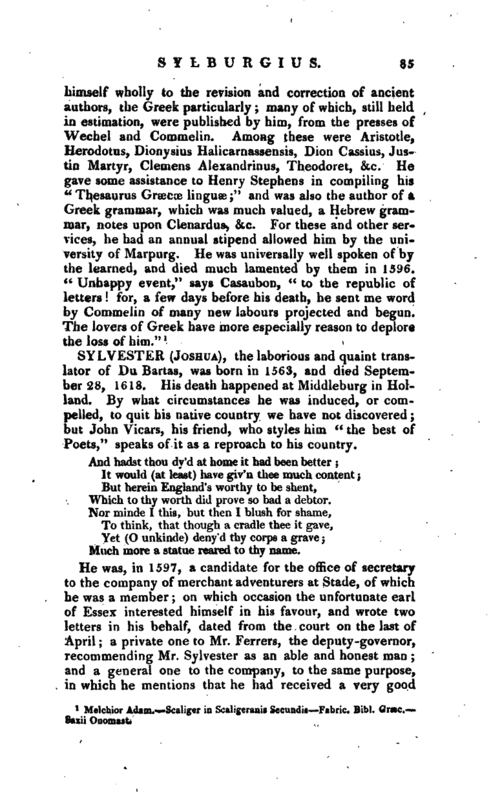 By what circumstances he was induced, or compelled, to quit his native country we have not discovered; but John Vicars, his friend, who styles him “the best of Poets,” speaks of it as a reproach to his country. Which to thy worth did prove so bad a debtor. Much more a statue reared to thy name. And periwig with snow the bald-pate woods." Yer while too strong, to my poo* wrong and woe." Ath. Ox. vol. I.—Phillips’s Theatrum, by sir E. Brydges.—Cens. Lit. vol. II. —Dunster’s Conjurations on Milton’s Early Reading, 1800.—Gent. Mag. vol. LXX and LXXV.—Ellis’s Specimens, &c.